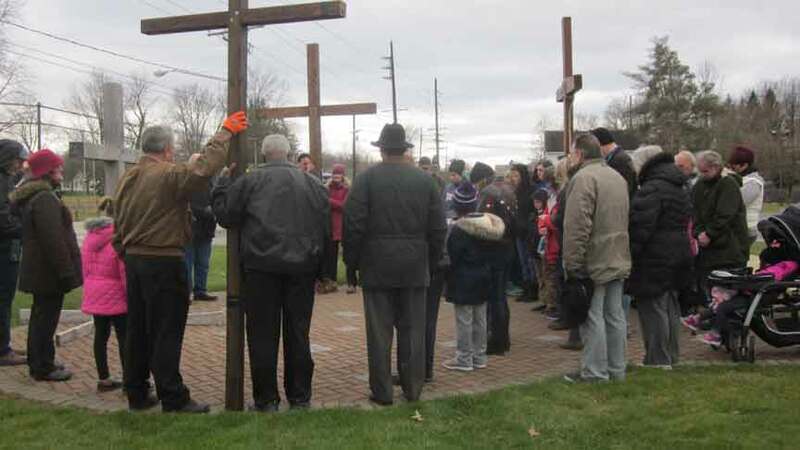 ORWELL – The Grand Valley Interfaith Services are readying for its fourth community cross walk/service once again this year as held on Good Friday, April 19, within Orwell. (From March 22 edition). According to Church Secretary Julie Page, this year’s processions will include opportunities for the public to carry the crosses at Orwell United Methodist Church or Orwell Village Hall at 5:30 p.m., or the Resurrection Life Church (Nazarene) at 5 p.m. Upon carrying the crosses, all three groups will then meet up at the intersection of Route 322 and Route 45 in Orwell, followed by a time to stop at St. Mary Church to pray afterwards. Afterwards, the public will then be invited for a free soup and salad meal provided by Orwell North Presbyterian Church at 6 p.m., followed by a Good Friday service at 7 p.m. there or at St. Mary Church. Anyone that plans to walk can note that volunteers will be available to shuttle people back to their vehicles after the service. For further information on this year’s community cross walk and services, please call (440) 437-8225. Pictured: Several Good Friday Cross Walk participants take part in a brief prayer service in front of St. Mary’s Church as led by Pastor Laurie Krieg of Colebrook United Methodist Church and other pastors in 2018.